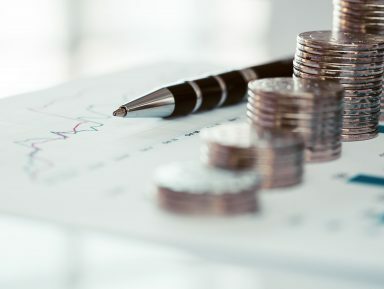 The Financial Ombudsman Service (FOS) has awarded compensation to a pension transfer client, despite the independent financial adviser (IFA) recommending against the transfer. The controversial decision could mean that fewer firms act for insistent clients in the future. IFA firm Portafina was appointed by Mr C to advise on transferring his pension out of his occupational scheme. Mr C wanted to release money in tax free cash to build a conservatory and give him a rainy-day fund. Portafina advised Mr C against the transfer. The firm said that the yield required to match Mr C’s benefits from his occupational scheme was over 10% and that the transfer was not in his best interests. Mr C insisted on going ahead, completing an insistent client form which confirmed that he understood that it was unlikely that his new policy was going to achieve the required growth rate to match his existing arrangements. Portafina made the transfer. It recommended that Mr C invest funds in a Self-invested Personal Pension which were higher risk than would normally be expected by a ‘moderately cautious’ investor such as Mr C. As a result, Mr C was locked into relatively illiquid investments and was unable to take his pension benefits. He complained to the FOS, which ruled in his favour. The decision raised concerns in the market that FOS had reached this decision despite the insistent client form and the clear recommendation against the transfer in the adviser’s report. This led Tom Murray, Head of Product Strategy at pension technology firm Exaxe, to write, “What we are likely to see now is a huge reduction in advisers prepared to deal with an insistent client as they could end up responsible for whatever happens afterwards,” in an article for Actuarial Post. Reports on the Ombudsman’s decision were published by FT Adviser and Exaxe. The Portafina decision is not straightforward however, as significant concerns were expressed regarding the choice of investments made, and therefore the issues are not confined to the transfer out of the occupational scheme alone. In reviewing Portfina’s published Ombudsman decisions it is also notable that this is not the only decision against the firm involving higher risk investments or insistent client forms. Perhaps the main lesson to be taken from Portafina’s experiences is that the FOS will not treat an insistent client form as a “get out of jail free” card, and will look carefully at the context of the advice and the events which followed. If these are not to the FOS’ satisfaction, then the door is opened to the FOS deciding redress is required, and this redress will be on the basis of what the FOS think is suitable. In Mr C’s case the redress rightly or wrongly went to the heart of the overall transaction, and the FOS did not strictly separate between the “transfer” and “SIPP investment” elements. Brunel secures competitive professional indemnity insurance cover for financial advisers. To find out more call Mark Sommariva on 0203 475 3275.